Although connected vehicles (CVs) will soon go beyond testbeds, CVs and human-driven vehicles (HVs) will co-exist over a long period. Hence, it is critical to consider the interactions between these two types of vehicles in traffic flow modeling. In this study, we aim to develop a macroscopic model to understand how CVs would impact HVs in the traffic stream. Grounded on the second-order traffic flow model, we study the relationships among flow, density, and speed by two sets of formulations for the groups of CVs and HVs, respectively. A set of friction factors, which indicate CVs' impact to HVs, are introduced to the speed equation for accounting CV speed impacts. Then extended Kalman Filter is employed to update both model parameters and friction factors in real-time. By using CVs trajectory data as measurements, the difference between CV average speed and overall traffic mean speed will be fully accounted. The proposed model will serve as a basis for designing CV-based traffic control function, such as speed harmonization, on highways. Understand speed interactions between connected vehicles and human-driven vehicles. Implement the new macroscopic traffic flow model which models connected vehicles and human-driven vehicles as distinguished groups. Utilize extended Kalman Filter for estimation corrections. Use the modeling framework to support real-time traffic operations with connected vehicles. This webinar is based on a study funded by the National Institute for Transportation and Communities (NITC) and conducted at the University of Utah. Read more about the research: Vehicle Sensor Data (VSD) Based Traffic Control in Connected Automated Vehicle (CAV) Environment. Dr. Yang is an Assistant Professor in Transportation Engineering at the University of Utah. He received his Ph.D. and M.S. degrees in Civil Engineering from University of Maryland, College Park. 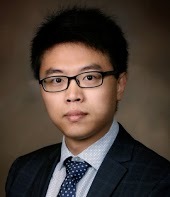 His current research areas include traffic operations with connected automated vehicles, evacuation planning and operation, big data applications in transportation, traffic safety, and network flow modeling. His researches are sponsored by NSF, USDOT, UDOT, and MSHA. He is the member of TRB Traffic Signal System and Emergency Evacuations committees. He is also an editorial board member of ASCE Journal of Urban Planning and Development and panelist of NSF and NCHRP. This webinar is hosted by the Transportation Research and Education Center (TREC) at Portland State University. The research was funded by the National Institute for Transportation and Communities (NITC), a program of TREC and one of five U.S. Department of Transportation national university transportation centers. The NITC program is a Portland State-led partnership with the University of Oregon, Oregon Institute of Technology, University of Utah and new partners University of Arizona and University of Texas at Arlington. We pursue our theme — improving mobility of people and goods to build strong communities — through research, education and technology transfer.